'First Directions' - an inspirational source of information, insights and practical techniques to change your life. The chakras are the seven vital energy centres which are located in and around the body. We hold the knowledge of their power deep within our unconscious mind. Chakras affect your body, health and emotional state and are an integral part of spirituality, yoga and alternative healing. 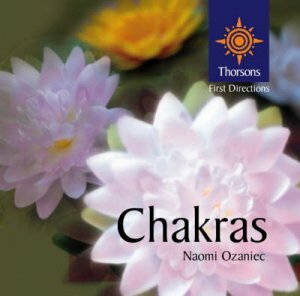 Using both Eastern esoteric philosophy and aspects of the Western tradition, Naomi Ozaniec shows how to work with your chakras and unlock their energy in order to control the energy of your body. This beautifully illustrated introductory guide will appeal to anyone wishing to improve their physical and mental health or gain a deeper understanding of energy. Harnessing the energy of your chakras can be the beginning of a powerful spiritual adventure.